It feels like the last couple of weeks have involved a lot of long lazy (boozy) lunches… The ones that leave you fighting a late afternoon snooze and the expanding waist line. I bought this shirt in Paris last summer and it fell into the depths of the walk in, lost to shoe boxes and accessories for company…I have set it free and added leopard print, my favourite clash combo. 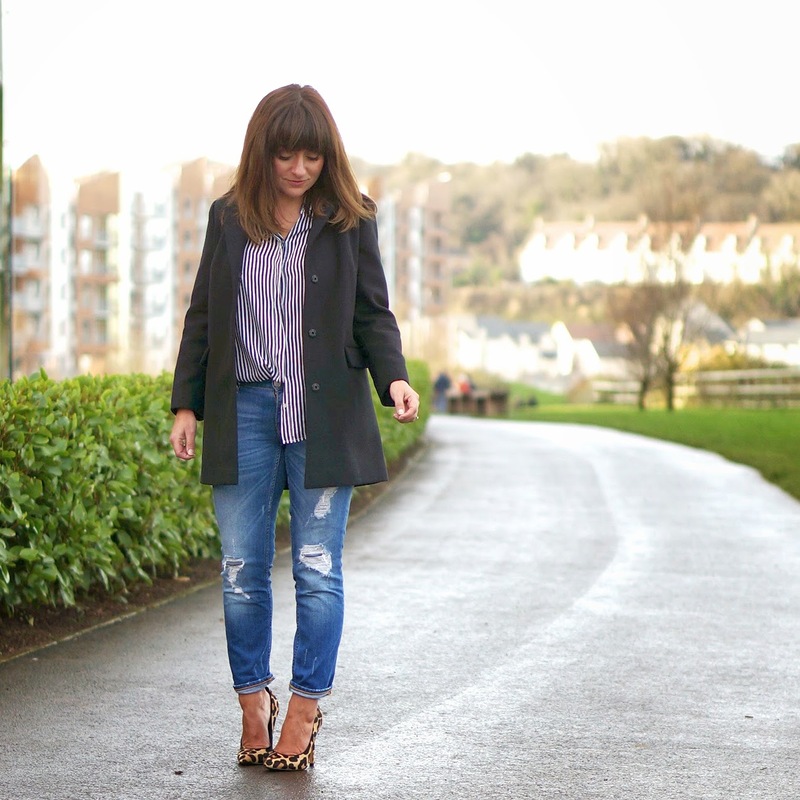 Similar shirt available here // Similar jeans available here // Office leopard print shoes are sold out online, similar here // Topshop slim pocket coat sold out in black online, buy similar here.